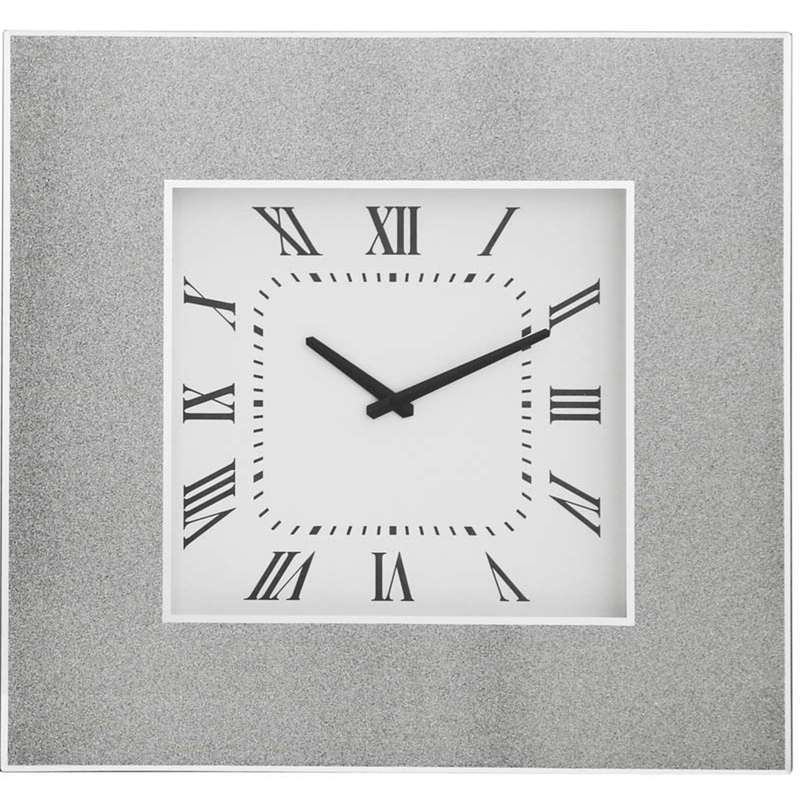 Made from mirrored glass and MDF this beautiful wall clock would be a bonus to any home. The square shaped design and stunning silver colour are very eye-catching. This piece also reads in roman numerals which does add a bit of extra style. This is a exquisite clock but it's still simple enough to look stylish in any room and be luxurious in any home.